Chicago's Luxury Folding Glass Windows & Doors Best of Houzz 2018! Replace your doors! 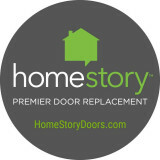 HomeStory Doors makes updating your home fast, easy and affordable with our unique technology and excellent service. Full-service door replacement including interior doors, closet doors, entry doors and more! Thanks to innovative measuring technology, we create a custom fitted door that can be replaced with no construction or remodeling. We get in, we get out, and you get a home with new life and character. The end result is great fitting doors, a convenient process and a beautiful home transformation! Now interior door replacement can be a design project, rather than a construction project. Our service includes: quality factory applied paint, professional installation, hinges and door stops, and disposal of the old doors. Call now for a free in-home estimate! Best of Houzz 2017 Glenview Haus allows you to find customized doors and wine cellars. Our wide range of handcrafted wood encompasses entry doors, interior doors, wine cellar doors, and wine cellars of every shape, pattern, texture, and size in a variety of hardwoods. Explore the multiple varieties of doors Glenview Haus offers, discover our excellent customer support, and visit our state of the art showroom and wine cellar. From modern to traditional, we've done it all. Whether you have thousands of bottles or have a small private collection, we are guaranteed to deliver a wine cellar that is right for you. Serving builders, contractors, and the general public, we offer the largest in-stock selection of wood entry doors and wine cellar doors ranging from traditional to modern designs. Customization is our expertise as we can design and craft entry doors, windows, interior doors and wine cellar doors in any style or size. 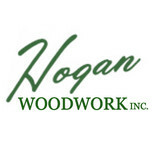 We offer only the finest quality doors, windows, and custom millwork from many premium hardwoods, including Genuine Honduran Mahogany, Spanish Cedar and other Central American hardwood species. Our countless customization options range from "old world" Heritage Collection, to Classic Collection and Modern Collection to complement a broad range of architectural styles. Our finishing capabilities are unlimited, ranging from "hands-scraped" to "furniture grade" finish options which, combined with finest wood materials and craftsmanship are guaranteed to satisfy even the most discerning clients. We have combined the skills of artisan craftsmen with ever-changing demands of technology and provide flexibility and creativity in a world that is often geared toward mass production. At Retractable Screens, LLC we pride ourselves at being the choice leading supplier of top quality retractable screen products in Chicago and the Greater Chicagoland Area. We have been able to do this by building excellent client relations. Our extensive experience in construction and design has made us the preferred retractable screening specialists for builders, architects, and designers and the preferred screening specialists for folding and sliding door systems. Our expertise lies in our excellent product knowledge, advanced product installation abilities, and our strong focus on customer satisfaction. Our ability to provide our customers with the best possible screening solution for any type of application and our professional product installation is second to none. That is why most of our customers come from referrals. We are the choice custom retractable screen solution specialists in Chicago and the Greater Chicagoland Area. Our products can be found on some of the most prestigious properties in Chicago and surrounding suburbs. We specialize in providing the highest quality custom retractable screen solutions for residential, commercial, historic preservation, educational, hospitality, and municipal applications. I am a carpenter contractor that has a background in both residential and commercial remodeling and restoration. Some of the specialties that I focus on are built-in cabinetry, bookcases, doors, fireplace mantels and decorative moldings. Innovative is a second generation, exterior home improvement company. Our mission statement is simple, "to make happy customers and lifelong clients". We do this by offering only the highest quality products, installed by well trained professionals. Combining these factors with our world class customer service and industry leading warranties and you have the ingredients for a stress free improvement project that will dramatically increase the value of your home while making it more attractive and more energy efficient. A Marvin & Integrity window specialist with over 25 years of experience serving builders, architects, designers, remodelers, and homeowners in the Chicagoland area. I take pride in providing my customers with the highest level of service, product knowledge, and responsiveness. Landquist and Son is a bifold door manufacturer based in the USA. We are the economical answer for closet storage solutions in the nation. Our heavy duty solid wood door uses an aluminum track, making it open and close with ease. Spaces (cabinetry and kitchens) and Views (windows and doors) are five Chicago area studios that combine art, design, expertise, talent, education, and some of the world’s finest products to create functional aesthetic joys and inspirational living experiences . Owned by Chicago icon Lee Lumber, Spaces and Views locations include Highland Park, Lincoln Park, SmartRooms in Lincoln Park, Spaces and Views in Lee Lumber North and Spaces and Views in Lee Lumber South. Spaces and Views main product lines are Wood-Mode and Brookhaven fine custom cabinetry, and Marvin Windows and Doors. Spaces and Views is one of the largest volume Wood-Mode dealer in the nation (out of 1100+) and the most experienced Marvin dealer in Illinois (over 20 years). In addition, Spaces and Views carries many other product lines to suit most residential and light commercial construction needs. We are proud that our main products are renewable, energy efficient, green and beautiful. But the key to our company is its people. Our cabinetry, kitchen and bath designers are all immensely talented professionals; our window and door specialists are intensely educated, skillful, and knowledgeable about both new and replacement windows and doors. We work on CAD applications, hand-in-hand with your architect or contractor. Know that our cabinets, kitchens, windows, doors, and custom millwork will look and perform even better than you have envisioned. Call the nearest location for complete information and a personal appointment. McIlwee Millwork is the "Master Builders Source" and is one of Chicago's oldest distributors of the finest millwork products to the shelter industry in Northeast Illinois. We are a 52 year old second generation family business run by brothers Tom, Brian, and Peter McIlwee. 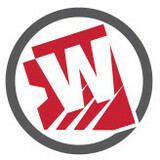 Wholesale Distribution and Manufacturing of High End Residential Millwork Products include, Jeldwen Doors, Trustile Doors, Kolbe and Kolbe Windows, Schlage Hardware, Emtek Hardware, Koetter Woodworking, White River Hardwoods, Simpson Doors, ThermaTru Doors, and custom exterior entries. Our prehung interior and exterior doors are made to order to old world standards with nickel and dime margins, ball bearing hinges, and mitered stops. We inventory over 1 million feet of mouldings and thousands of interior doors in our 48,000 sq ft facility in Itasca, IL McIlwee Millwork takes pride not only in it's higher quality but exceptional services that coordinate materials to the jobsite on time and damage free. It is the McIlwee Millwork promise to consistently provide the professional builder with the best selection, options, and prices in millwork materials and services for a full range of market segments. Builders and Developers can rely upon McIlwee Millwork to deliver high quality complete millwork packages, made to order, and delivered on time! Our belief is that quality is free! Only cheaply made products and poor communication truly cost you more! Personal service. Quick response. Honest answers. That’s how we’ve built customers for life in more than 20 years in the home exterior business. Since 1990, McCann Window & Exteriors has made the experience of buying and installing replacement windows easy, comfortable, affordable, and satisfying. We take the time to understand what you want, explain your options, and answer your questions every step of the way. We offer the best manufacturers of replacement windows, doors, vinyl and fiber cement siding, and roofing in Chicago and the North Shore. Some of our manufacturers include: Pella, Marvin Windows and Doors, Alside, and James Hardie. These top-notch exterior building products and our superior service ensure that your home looks and feels exactly how you want it to. Our customers agree and recommend us to their friends and families. And to us, there is no greater compliment. Since 1939 Rusco Windows & Doors has been DuPage County's Premier home improvement specialist. Family owned and operated by the DiFiglio family. We treat your home like our own! From compromising your homes security to increasing heating and cooling costs, an improperly installed or damaged door can cost you. Exterior doors, such as front doors, need to be tough against the elements but easy on the eyes; interior doors need to blend in with your existing aesthetic, but also function well for each room they are selected for. Needless to say, door decisions can be daunting; luckily, door dealers and installers in Chicago, IL can help you select, design and install doors that are perfect for your home! What kind of services do Chicago door dealers provide? Door dealers are responsible for a variety of services, including door installation, replacement, door repair and custom door design. If you need a new door, Chicago, IL door dealers will help you determine what kind you need, as well as shape, color, size and more. From barn doors to French doors to front doors, these professionals can help you choose, install and maintain your door investments. Wood doors are beautiful, versatile and tend to be the most popular choice for both interior and exterior doors; they are easy to custom build, and include oak, cherry, walnut, mahogany, maple, fir and pine. Some standard wood doors have MDF cores wrapped in wood veneers, which minimizes the chances of warping as real wood expands when wet and contracts when dry. If your heart is set on a wood door but you think the Chicago, IL climate might cause it to warp, talk to your door professional about a furniture-grade veneered door. Aluminum doors have an insulated core and come in a variety of colors and finishes. With a baked-on enamel finish, they won’t rust or need repainting, and many come with a 20-year warranty. Next to wood they are the most expensive and have to be custom-made. A Chicago, IL door dealer can help you find a reputable aluminum door manufacturer. Find door dealers and installers in Chicago, IL on Houzz. 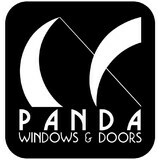 Look in the Professionals section of our website and search for Chicago, IL door dealers and installers. Read reviews, look at project photos and see how a pro can help with your home improvement project.